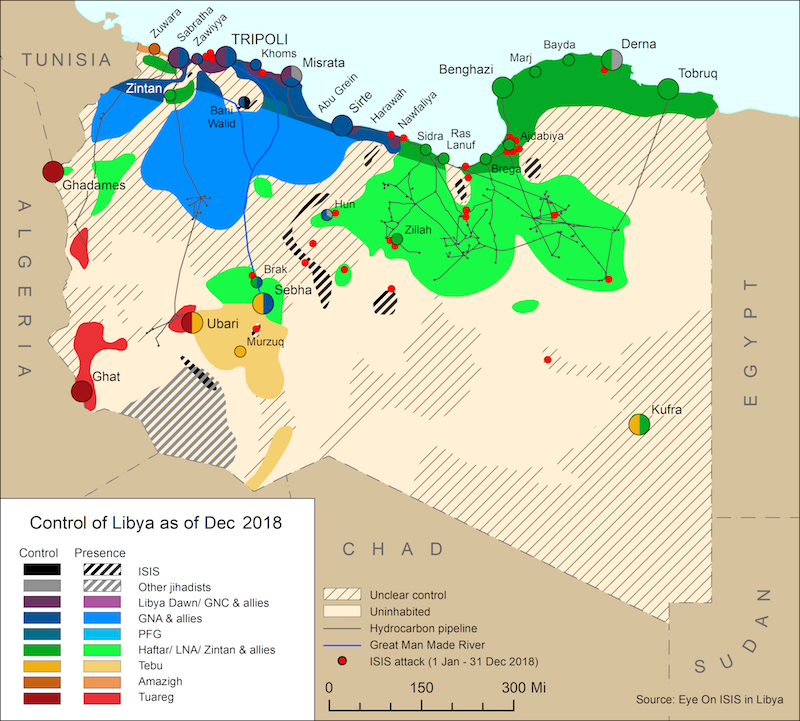 Last week, following Khalifa al-Ghwell’s ‘coup’ attempt in the capital, UN envoy Martin Kobler arrived in Tripoli, along with the new French ambassador to Libya, Brigitte Curmi. They held separate talks with the Government of National Accord’s (GNA) Prime Minister Fayez Serraj at the Abu Setta naval base, as well as with the GNA Minister of Defence Colonel Mahdi al-Barghathi, Minister of Foreign Affairs Mohamed Siala, and the head of the Presidential Council’s guard, Colonel Najmi Al-Nakua. The British Ambassador Peter Millet condemned Ghwell’s takeover in an interview on a local Libyan TV channel after meeting with Abdulrahman Swehli, head of the High Council of State (HCS), saying that all institutions emergent from the Libyan Political Agreement (LPA) must continue to have a role to play in the format that they were intended. On 21 October, Kobler visited Serraj to reaffirm international support to the GNA and the LPA. During a joint press conference with Swehli, Kobler demanded that the supporters of Ghwell’s ‘coup’ attempt evacuate the HCS’s premises in Tripoli immediately. Swehli said that the ‘coup’ plotters were merely a minority who represented only their own interests and lacked public support. He said that the stability and security of the capital would not be sacrificed by engaging in an open confrontation with the plotters. Kobler praised Serraj and Swehli, urging an urgent and peaceful solution to the crisis. 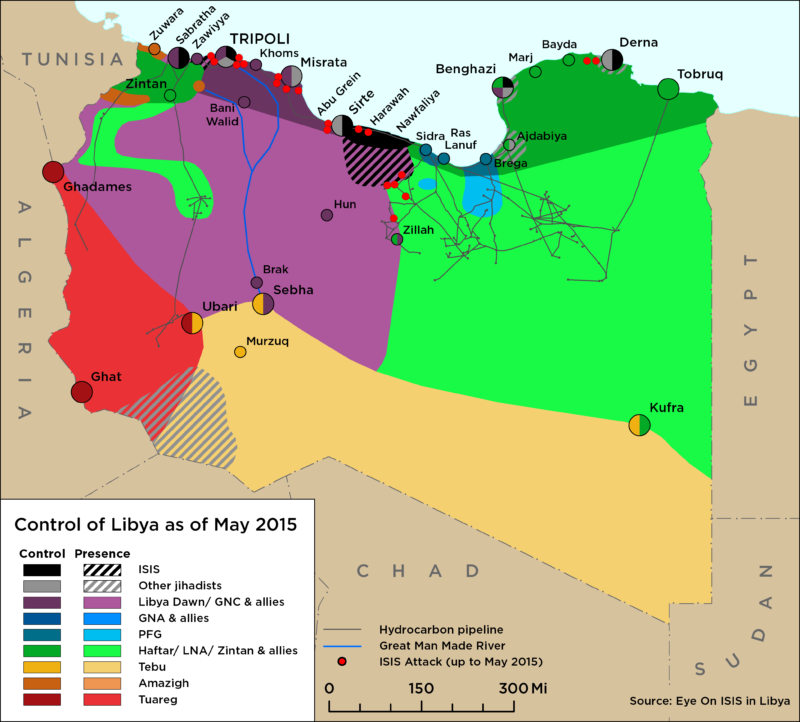 According to the US Africa Command, AFRICOM, the US has so far launched nearly 350 sorties against ISIS targets in Sirte since Operation Odyssey began on 1 August. 150 of these strikes were carried out in the period 1 – 18 October, marking a distinct intensification. Last week, the Americans replaced the amphibious assault ship USS Wasp with the amphibious transport dock, USS San Antonio. They are also withdrawing their fixed-wing AV-8B Harrier jump jets in favour of a helicopter force of Bell SuperCobras and Bell Venoms (Super Hueys).